Glasgow, Scotland called my name! Boarding my flight from Birmingham I touched down into a dreary Glasgow but my China bestie, Fiona was waiting for me at domestic arrivals so it all good. 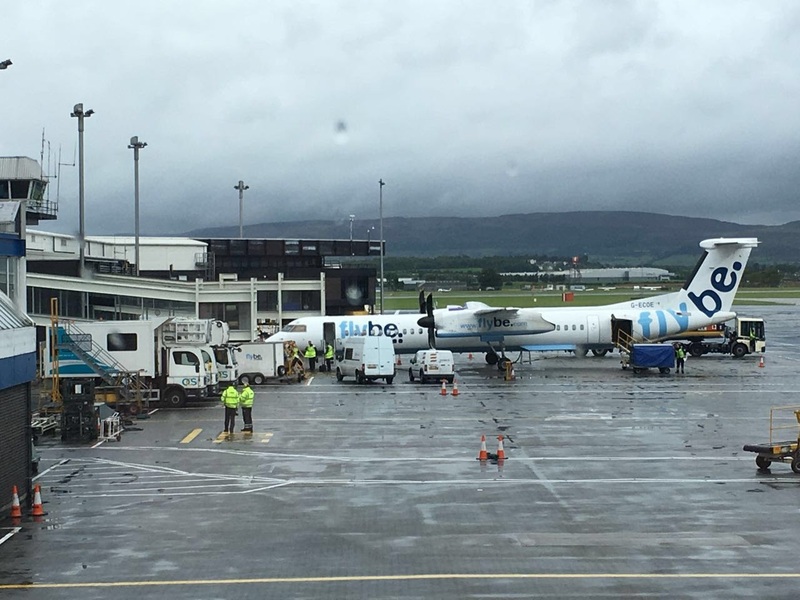 Ready to reconnect with Scotland's realest city, I didn't want to a one single thing! Second time lucky I was feeling so ready to see the city again, Glasgow was absolutely incredible! Returning from China me and Fiona had made a pact to meet in her homeland of Scotland, keeping to our plan I booked up my flights from Birmingham to Glasgow International without any hesitation. We had connected during our crazy two year teaching experience in Wuhan, China and had vowed to keep in touch no matter! 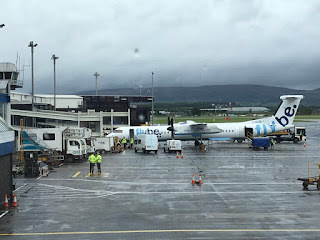 Forbidding any basic energy I was more than ready to slay my way to Glasgow, bounding ahead on my propeller plane it was a fifty minute flight from BHX to Glasgow! Not appreciating the weather forecast whatsoever it wasn't going to have a detrimental impact on that long weekend thing. Sashaying through domestic arrivals had me reunited with Fiona, we were ready to take the city of Glasgow for ourselves and nobody would dare stop us! My post-China life had me slowed down, getting out of the malarkey of visa renewal craziness had to be done! Oh no, Glasgow didn't have a choice! I had previously been to Glasgow during my university days, accompanied by two friends who hailed from Portugal it was a great weekend but we missed out so much during our time in Glasgow. Not throwing shade on those Portuguese beauties but I had to take power, stepping on the gas to get us to the hotel and then to break down the language barrier. 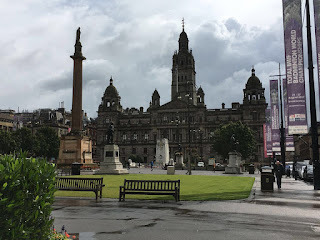 I had seen the Necropolis and the Cathedral, both amazing sights that I didn't need to see a second time around, that distant trip served ultimate realness with the duel we saw in McDonalds by Central Station, only high heels and chicken nuggets are needed to cause drama in Glasgow! Saving the Buckfast for the next night I wasn't looking for drama at all, leaving the perimeter of the airport brought us closer to Glasgow's city centre. Being back with Fiona felt amazing, it had only been a few weeks since we said goodbye in Wuhan but we were back! George Square, the Tenement House and the Clyde River were all in our sights! Yes! Straight up Glasgow served its gritty truth, facing George Square gave me life for certain. Glasgow's centre point didn't need approval, that 17th century focal point impressed me much with the City Chambers as the main focal point. Listening to a reliable source we learnt that before George Square was fashioned into its current state it was a ground to slaughter horses, I suppose darkness always turns into light? I believe so in George Square's legacy, looking at its location I recognised the links from Buchanan Street from previous trip, how did we miss that? George Square sure was pint-sized but its horse statues brought the royal factor back, I'm always in favour when Queen Victoria's present. During the Scottish Referendum, George Square was a hype of activity with people expressing their views to be independent or to remain with the United Kingdom. In many respect's George Square is a main stage! Work Glasgow! The stature of George Square had me working for a worthy photo, the threatening weather brought an unfavourable amount of cloud into my view! Now that's just shady! Greggs for breakfast, there's no shame in that because Glasgow wasn't going to judge us! Glasgow had me ready to recapture what I had wanted to see the first time but the blog wasn't alive back then, I really had no clue! Hopping on the sightseeing bus seemed like a champion plan, I usually look for transport like the Subway but embracing something different I was game to be schooled about this Glaswegian wonder! Leaving George Square behind us, me and Fiona were bamboozled with enough information it was almost too much! Passing the Winter Gardens showcased a slice of Victorian splendour, it was a shame art isn't our thing because were impressed by the People's Palace much! My day up till that point had been hectically fantastic, both of us looked forwards to our next stop, we were ready to step back in time! My family is definitely the realest, we don't live in mansion or penthouse suites because we live on a council estate and there's nothing wrong with that at all! 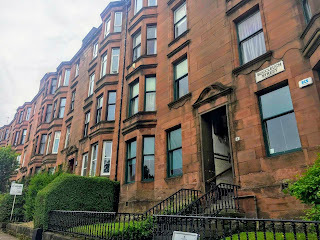 Seeking out a piece of Glasgow's housing history I came across the Tenement House along the sightseeing bus, located near Argyle Street and on the Subway system I could have found it independently but time wasn't a healer in our case. Supporting the National Trust Scotland with our entrance fee, we rang the bell on the first floor to be greeted by a volunteer worker. At first glance I was shocked to see how comfortable the Tenement rooms looked, I had an image of abject squalor but a Middle Class style was present. The dining room was modestly decorated with a cupboard housing a small double bed, presumably for the parents? A small bedroom sat next door, complete with a chamber pot reminding me of the Black Country term 'Guzunder'. Everything looked untouched! Delving into the kitchen led us to a helpful and very knowledgeable volunteered who informed us that the house had been kept exactly how it would have been during the 1800s as the previous tenant had not changed a single thing. The original family were not typical of the common impression of tenement housing in Glasgow, many other families would be in a state of poverty without running water or any real form of sanitation. I asked questions about the disparity between social classes in Glasgow during that time, she informed us that rents would be cheaper on the top floor and in the basement due to severe coldness at the bottom and the many floors to reach the top floor. 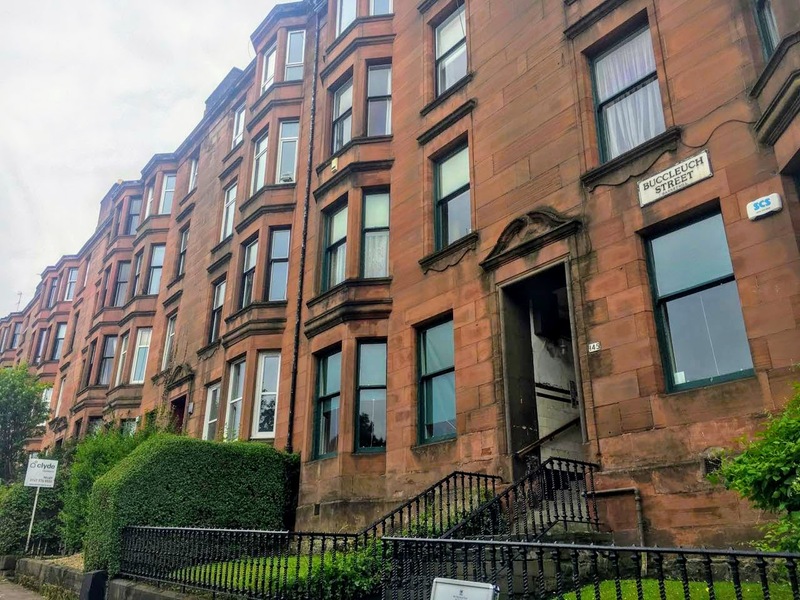 Having seen many historic photos of Tenements from the Gorbals planted the impression of Glasgow housing, my family would have probably been living on the top floor or down in the basement, let me proclaim that we don't have tine for the middle class style. Glasgow had to work for it, no it's no Edinburgh! 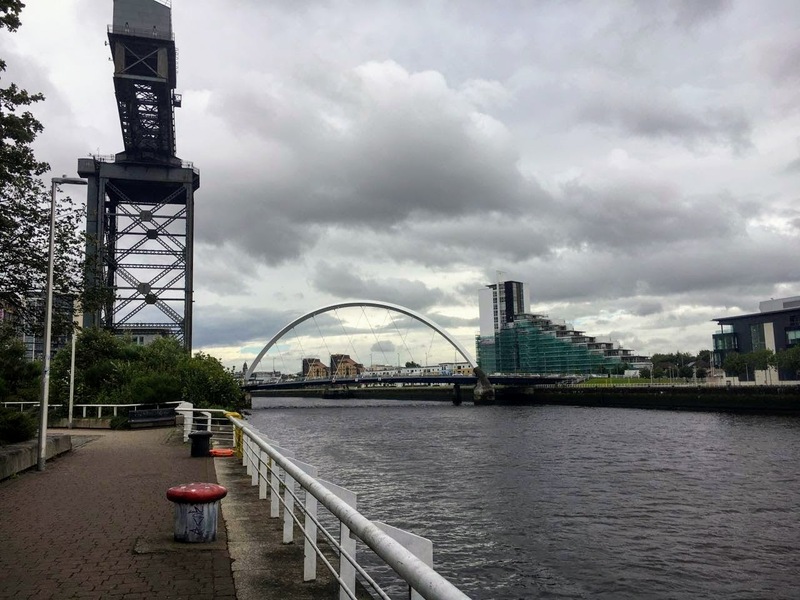 Glasgow stands legendary with its own waterway, famously known as a powerhouse for its ship building along the Clyde River. Glasgow stone structures were given life by the Clyde many industrious ways, ship building built that city for certain! During my first visit to Glasgow we made it to the waterfront as the sun began to set, I won't lie it was a little bit sketchy but that what made me love Glasgow's edgy Clyde Riverside. The crane that stood still caught my eye because it resembled the past, sat by the crane is the wonky bridge. Why was that bridge not built straight? Due to the historic foundations of the Bankside it was thought if the bridge was curved it would cheaper and wouldn't cause much chaos. I have a love for industrious city that have worked for what they own, even though the shipping industry doesn't power Glasgow like it used to there are still moneymakers that fuel the city today. Build it G! Let me eat my words because the Clyde is still craft sea worthy vessels to this day, hot off the docks is HMS Forth, slated for handover to the British Royal Navy in 2017 it's being completely assembled in Glasgow. Over the years Glasgow's branch of the Clyde River can say its been part of the building of the following vessels; the legendary tea clipper known as the Cutty Sark was crafted in Glasgow but has now been lifted into its own dry dock in Royal Greenwich in London. Ships fit for royalty such as RMS Queen Mary and the QE2 respectively, now that sounds like music to my ears. Glasgow showed us all of that and even more, stopping for in-between visiting the Tenement House and the Clyde Riverside we went for a lovely burger because Glasgow served it better than the previous time! There were no early evening scuffles near Central Station involved a Happy Meal but during this 2017 rebooted edition Glasgow sure delivered! Of course Scotland's realest city took us on the best ride!